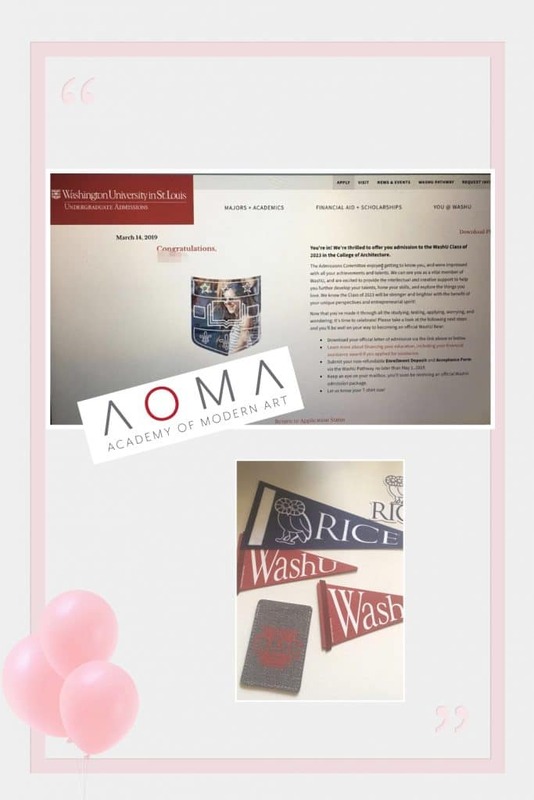 We are so proud of our successful portfolio students! 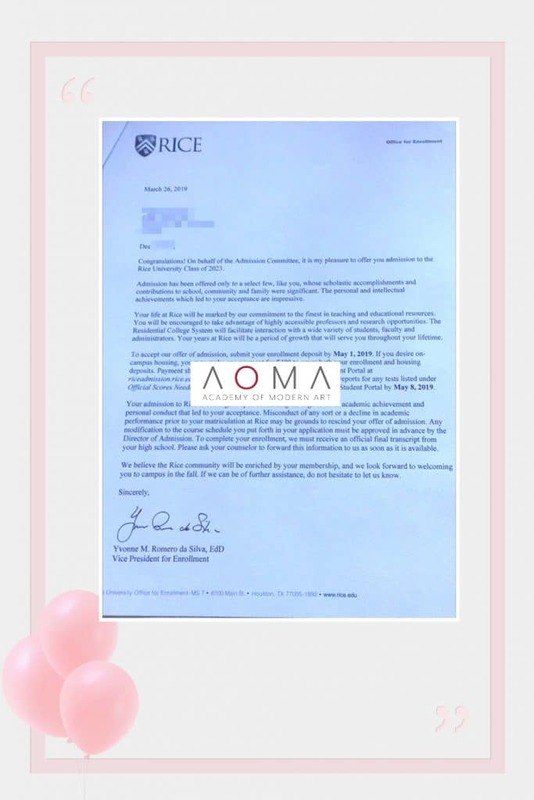 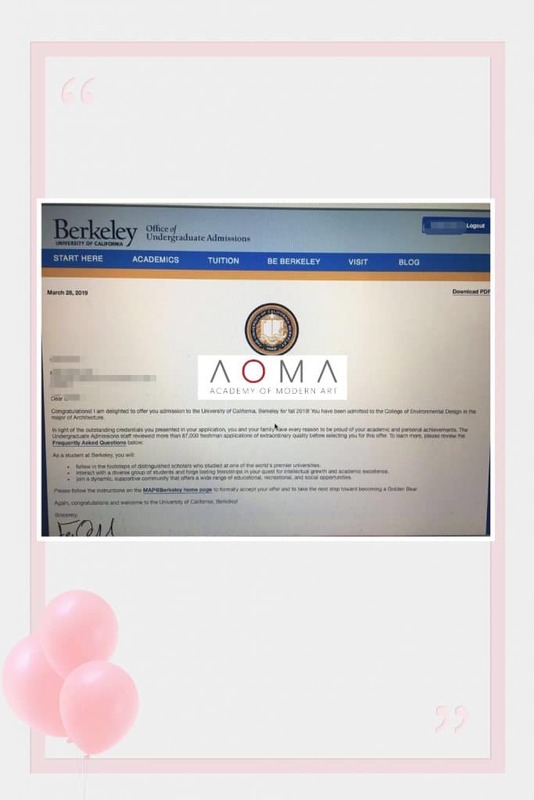 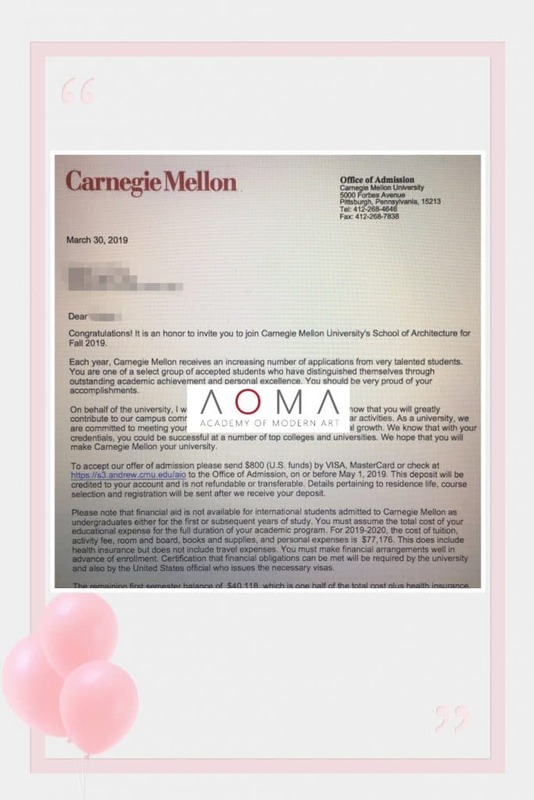 This year, AOMA has assisted students to be accepted to Carnegie Mellon, Washington University in St. Louis, Emily Carr University, RICE, and Berkley! 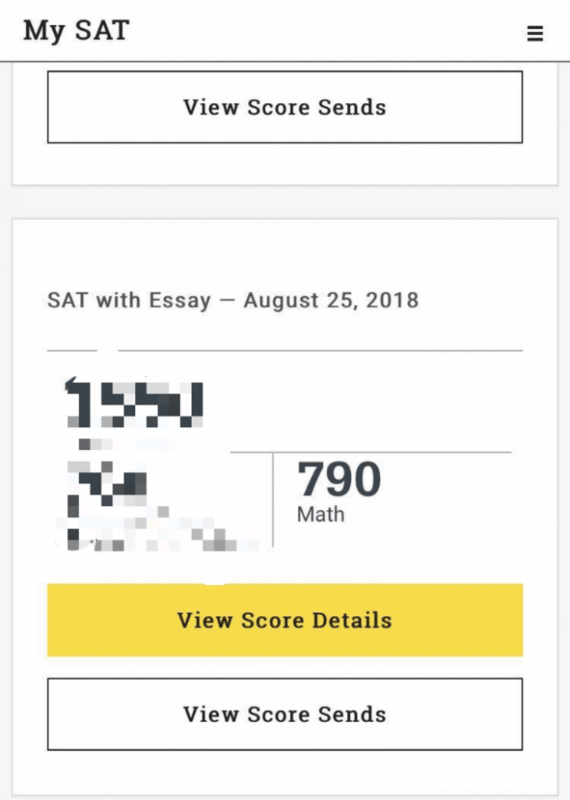 We also assisted SAT math students who received offers from Yale, Columbia, Brown, UC Berkeley, UCLA, USC, Chicago and more! 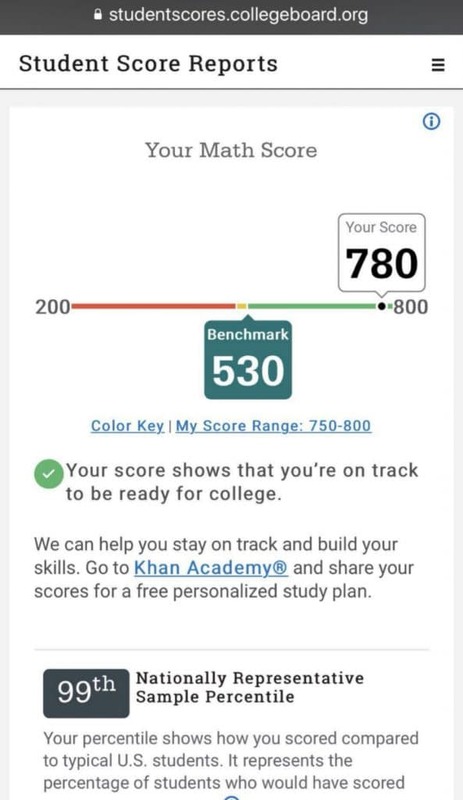 Some of our SAT students received scores 780 and 790 – well above the benchmark! 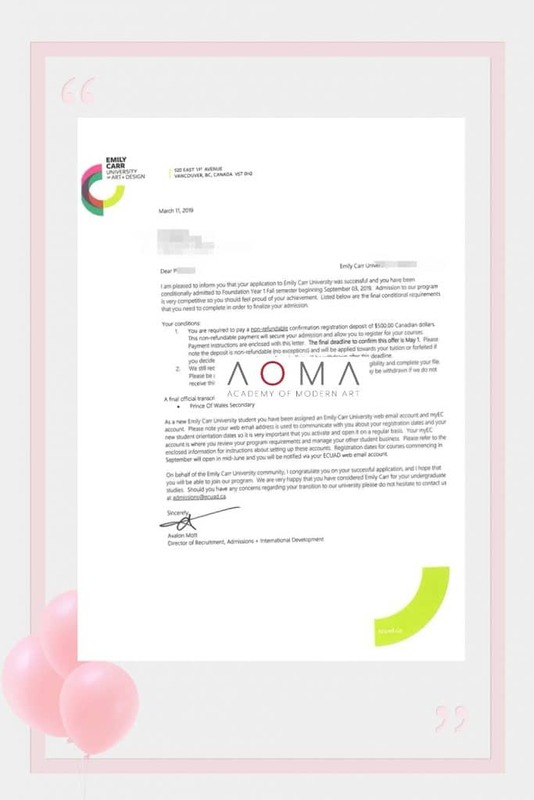 We are so proud of how well our AOMA students have done and how hard they have worked this year!